Nissan gives a preview of what the X-Trail, its next-gen SUV will look like by revealing its Hi-Cross Concept at the Geneva Motor Show next week. With the Nissan X-Trail still under development stage, Nissan gives a preview of the Hi-Cross Concept in a teaser video. 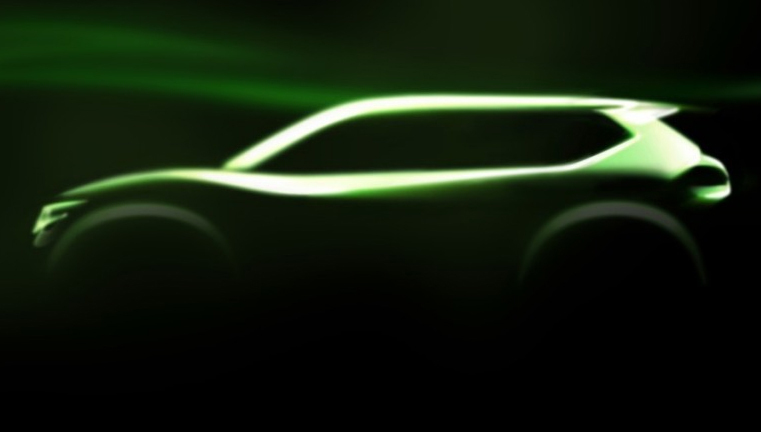 The detailed review of the concept will only be revealed at Geneva. From the video, we can make out the flow-lines of the SUV concept. It probably has LED headlight, and a very aerodynamic design that follows at the rear with the spoiler in place. A darkened B-pillar and pronounced wheels arches also feature in the concept SUV. The aviation inspired steering and console however, are not likely to be seen when the SUV goes into production. The digital display shows the vehicle’s orientation could be a lane-assist or park-assist feature of the car. Further details will be available only after Geneva Motor Show, however, some details suggest that the new X-Trail will come in both front-wheel and all-wheel drive configurations. Powerplant for the X-Trail is said to be 2.0-litre diesel, with choices from petrol and diesel on a smaller size engine. More information will be released at Geneva, starting on March 6.